Yahoo! 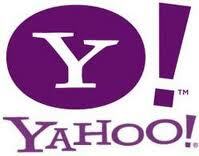 Inc. (NASDAQ:YHOO) is a company with bright prospects and its fate is in the hands of its CEO Marissa Mayer. On CNBC, Yahoo! Inc. (NASDAQ:YHOO)’s interim CEO, Ross Levinsohn discussed Marissa Mayer’s abilities to steer Yahoo’s ship in the right direction. Levinson described the current position of Yahoo! Inc. (NASDAQ:YHOO) as nothing less than pocket aces or in other words a perfect poker hand. He said that anyone would be dying to be in her position at the helm of Yahoo! Inc. (NASDAQ:YHOO). “If somebody said to this group of people on the television right now, I am going to let you start a company and you are going to have 800 million plus users and what will amount to $7-$8 billion of cash, $4.5-$5 billion of revenue and hundreds of millions of profit out of the gate. I think we would all salivate to take over that company[…],” said Levinsohn. Marissa Mayer’s big moment to cash in the pocket aces is just around the corner as Yahoo! Inc. (NASDAQ:YHOO) is all set to reap the benefits from its investment in Alibaba. The company will have a sizable amount of cash as it seeks to liquidate some of its stake in Alibaba during the IPO. How profitably could Mayer invest this money? That is the question. With just over two years under her belt as Yahoo! Inc. (NASDAQ:YHOO)’s CEO there aren’t a lot of concrete investments that can be pointed out. However, as Levinsohn pointed out Mayer said that she has a four year plan for the company. Levinson has high hopes for her as he mentioned the energy and enthusiasm that she has injected into the company when it needed the most. Discussing her prior investments he mentioned her emphasis on Yahoo’s mobile applications which proved to be a success. Levinson said that she has a good eye for recongnising where the value lies in the company and then invests there. However, the question about her investing talent is would perhaps be better answered in the next two years when the term for her four year plan ends.